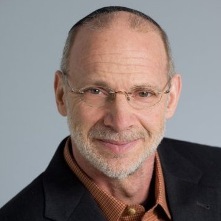 Mitch Tepper, PhD, MPH is a certified sexuality educator, counselor, and sexologist. He has been on the faculty of the Defense Center of Excellence for Sexual Health and is a licensed PAIRS instructor. Speaking from personal experience and years of leading relationship seminars and workshops, Mitch brings compassion and empathy to helping veterans of injury or illness restore sexual wellness. Many failed intimate relationships among reintegrated veterans and their partners unfortunately lead to Intimate Partner Violence (IPV), substance abuse, depression, relationship stress and divorce. Mitch shares how even with catastrophic injury (severe burns, amputations, spinal cord injuries) and with TBI and PTSD, veterans and their families can achieve normalcy and regain their sexual health as they communicate openly and re-learn certain bonds through intimacy. Learn how the Courage to discuss sexuality, the Sensitivity to understand, and Compassion for yourself and your partner can reignite healthy sexuality in your life after war. Learn more at www.LoveAfterWar.org. Click below to listen live or download by clicking this link: http://bit.ly/1UbJc4E. Also available in iTunes podcasts under Military Network Radio 24/7. Air date, 24May2016.